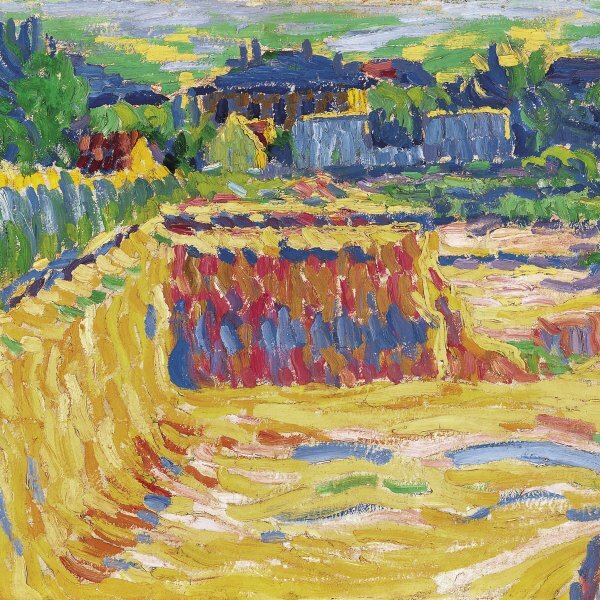 The trauma of the war and the fact he was declared unfit for active service plunged Kirchner into a deep physical and mental crisis that led him to voluntary retirement in Switzerland in 1917. The artist took refuge in the mountains by the village of Frauenkirch, near Davos, where his painting underwent a transformation and became filled with new themes. 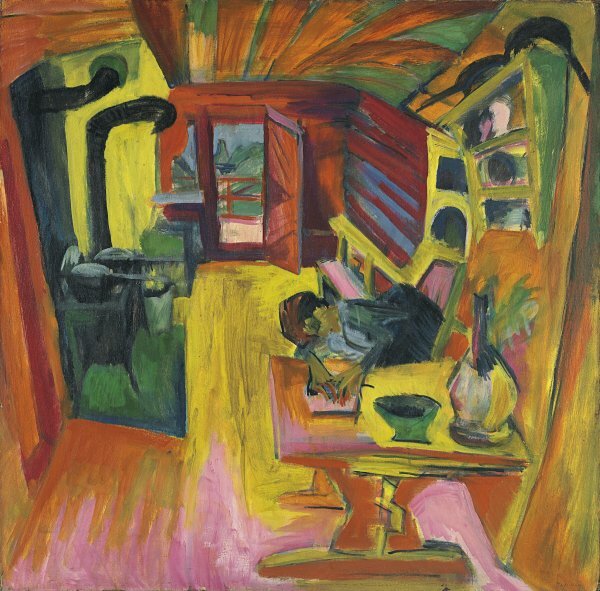 In summer 1918 Kirchner rented an alpine cabin in Staffelalp, by Frauenkirch, where he painted the present Alpine Kitchen.With a very distorted perspective, the painting shows a room decorated in rustic style as he described it in a letter to the architect Henry van de Velde: “The rooms up here are most unusual, the gaps in the walls filled in with moss, and a wonderful pot-bellied stove [...].” Although, according to Roman Norbert Ketterer, the administrator of Kirchner’s Estate, the figure by the table is the artist himself preparing a lithographic stone in the kitchen of his Swiss chalet overlooking the Tinsehorn, Peter Vergo believes it is Erna, the artist’s companion at the time.